Womensphere Summits and Festivals convene and bring together leaders, emerging leaders, innovators, entrepreneurs, investors, change-makers, thinkers, doers, creators, scientists, artists, educators - and great men and women alike - to be inspired, be empowered, take action, unite in community, celebrate progress, and honor the women and girls who are creating the future. 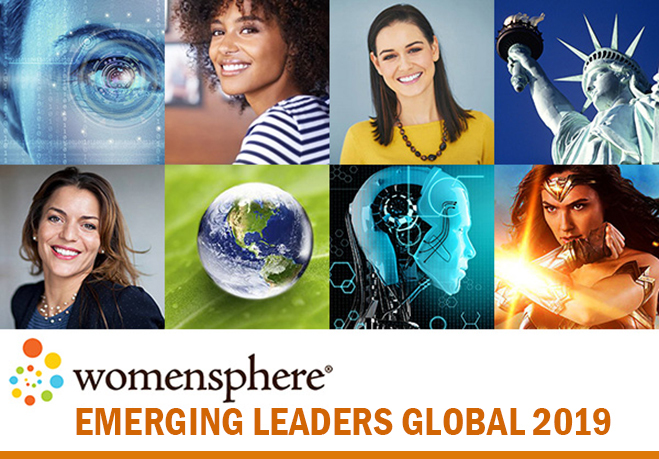 Join the Womensphere Summits and Festivals, and connect with a powerful community of leaders, visionaries, creators, innovators, change-makers, and doers, who are reshaping the future of the world – across business, education, entrepreneurship, government, media, philanthropy, policy, social innovation, and STEAM (science, technology, engineering, arts/music/literature/design, mathematics). At our Summits, we discuss and action upon some of the most vital issues of our time: How we unleash peoples’ potential and empower women and girls to create the future. How we achieve the Global Goals for Sustainable Development. How we enable equality and inclusion in driving the Fourth Industrial Revolution. How we accelerate gender equality and advance women in leadership, entrepreneurship, innovation. How we reshape media, culture, and institutions to create a more inclusive, more compassionate, more sustainable world. And more. Let us create a brighter future - join us! The Womensphere Emerging Leaders Forum & Fellowship is a unique leadership development event convening emerging leaders across America, bringing together an inspiring community of change-makers, innovators, educators, and creators who are dedicated to unleashing their potential, and to creating positive impact in their workplace, communities, and society. A unique dialogue-driven and leadership development event primarily designed for Womensphere Emerging Leader Fellows. May 31-June 1, 2019, New York. Join us at this Forum! The Womensphere Capital Summit will focus on enabling gender equality in access to money, capital, investment, and funding for innovation, entrepreneurship, and income; and advancing women’s leadership in finance, capital markets, and leadership in financial innovations and emerging trends in fintech. We will discuss resolving economic inequalities, and empowering women and all people with the strategies, insights, resources, and networks needed to create stronger financial futures. June 6-7, 2019; New York. Join us at this Summit! The Womensphere Emerging Leaders Global Summit 2019: CREATE THE FUTURE - RENAISSANCE is the premier convening of emerging leaders all over the world, bringing together an inspiring community of change-makers, innovators, and leaders who are dedicated to unleashing their potential and creating a brighter future for America & the world. A unique leadership development and community event designed for Nominees of the Womensphere Emerging Leaders Prize and Womensphere Fellows. June 13-15, 2019; New York. Join us at this Summit!